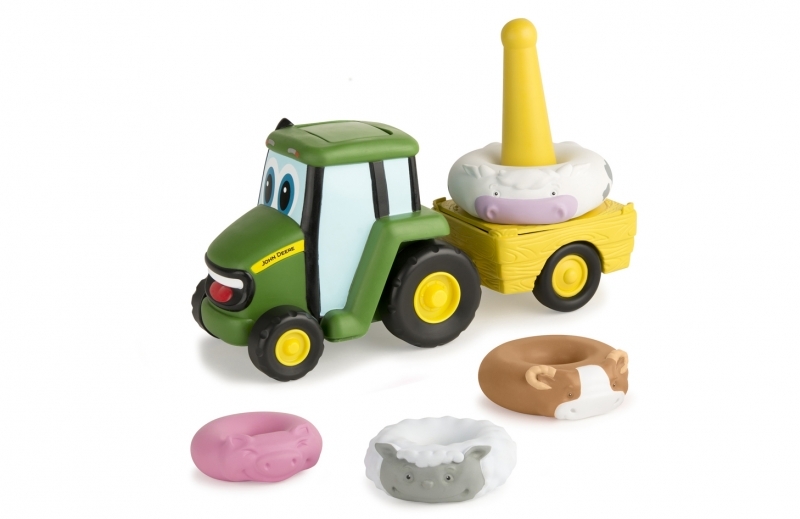 This cute animal stacker with sounds and rolling wheels has four rings to stack, including a pig, horse, cow and sheep. Every time the animals are stacked correctly a noise will sound. Little ones can enjoy stacking the different animals and when stacked correctly it will make a sound. The rings are chunky, making them easy to stack and include a horse, cow, pig and sheep. 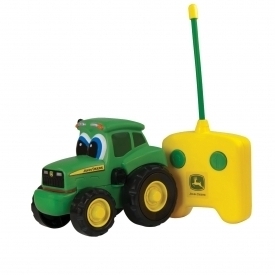 When the animals are stacked up watch them spin around the wagon when you push Johnny Tractor along.